Home basement remodeling can be a tedious yet extremely fruitful process! Creating a basement space with new style and additional space can add great value to your home. Innovative Building and Design can help design and build a new living space for your growing family, or upgrade your basement area to that dream entertainment zone! From the beginning stages of insulation and drywall to the finishing touches of appliance installations or fresh custom paint jobs, Innovative Building and Design will walk with you through the entire basement remodeling process. The beauty of basements are that they can be designed to fit any purpose the homeowner desires! We could install a new floor with heated tile to keep those toes warm during the Minnesota winters, or simply select a high quality carpet. We could add dimmers to the lights for romantic encounters, or build a custom fireplace to emanate warmth and comfort into the home. 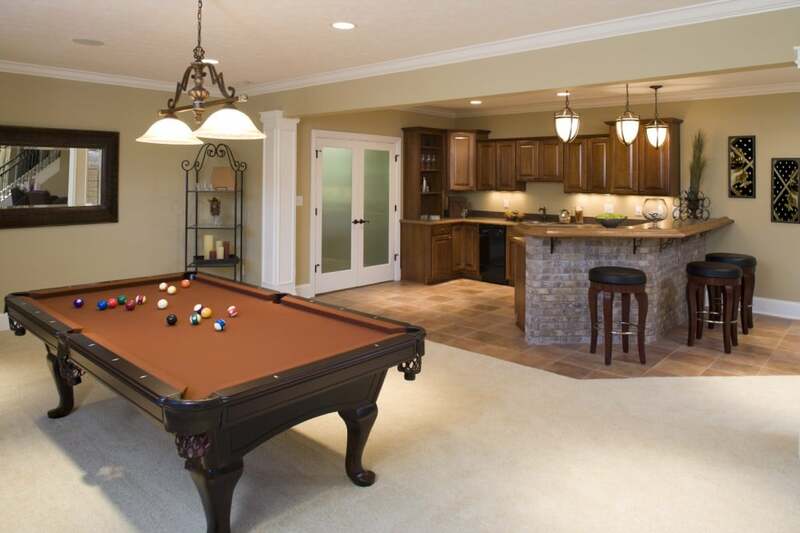 With Innovative Building and Design on your side the basement remodeling possibilities are endless! Looking to take an unfinished basement space and construct a functional living area? With the help of the Innovative Building and Design team every Minnesota homeowner can easily turn their lonely basement into a luxury living space! Together, we can design and build the basement of your dreams! Designing either a multi room basement or one large space for entertainment purposes, Innovative Building and Design will run all your electric lines to ensure the basement is fully functional. Bathroom installations are also a regular part of basement remodeling, no one wants to have to go upstairs just to visit with John. If you have a partially finished basement or you’re starting from scratch, don’t hesitate to get a free basement remodeling estimate today! Let Innovative Building and Design turn your basement dream into a reality today! Feel free to call us at 612-808-6025 or contact us online today by requesting a fast, free bid. Innovative Building and Design is your total-service Minnesota contractor. The basement you can only dream of is the one we want to build!